Royal Caribbean's second Quantum Ultra Class cruise ship will sail in Europe, according to travelweekly.co.uk. Royal Caribbean President and CEO Michael Bayley spoke at a Travel Weekly Executive Lunch and confirmed that the yet officially unnamed cruise ship that is set to launch in fall 2020 will offer sailings in Europe. The first Quantum Ultra Class ship, Spectrum of the Seas, will launch in April but she is headed immediately to Asia. This is not the first time Michael Bayley hinted that the successor to Spectrum of the Seas might not head to Asia. During a Q&A session onboard the President's Cruise in October 2018, he mentioned the fifth Quantum Class ship and indicated there is a possibility that ship will sail from the United States and Europe. "The following year we have Spectrum two, or Quantum Ultra two, and that could possibly be coming to Europe and America." TTG quoted Mr. Bailey in saying the new ship will visit the UK when she launches, "The UK is going to see Spectrum 2 – we are going to bring it here. October might be a little cold, but we’re going to bring it." "It’s definitely not going to China," he added. After months of speculation, Royal Caribbean revealed the name of its newest cruise ship for China and celebrated the occasion with a steel cutting ceremony. At the Meyer Werft shipyard in Papenburg, Germany, Royal Caribbean announced its new Quantum Ultra class ship will be named Spectrum of the Seas and marked the official start of construction by cutting the first piece of steel. Spectrum of the Seas is set to debut in 2019 and will be the first Quantum Ultra ship that will specifically be designed for guests in China and the Asia-Pacific region, and will feature cutting-edge and unprecedented experiences and amenities. Royal Caribbean had trademarked the name Spectrum of the Seas in June, but had not commented on the trademark registration until now. Each quarter, Royal Caribbean's management gets on the phone with investors to discuss its quarterly earnings. Much of the call is dedicated to the discussion of rather uninteresting fiscal reports, however, there are a number of tidbits that Royal Caribbean fans can glean during the discussion. During Royal Caribbean's second quarter 2017 earnings call with investors, we picked up on five interesting points worth noting. Royal Caribbean Cruises Ltd. Chairman and CEO Richard Fain started off the earnings call with an observation on the changing ways consumers are spending their money. A strong cruise market seems to suggest to Mr. Fain that consumers have less they need to buy, and are instead investing in their memories. "People have bought all the stuff that they need, and they're now looking towards gaining more experiences. Instead of buying TVs and cars, they seem to be buying memories as never before. Since we're in an industry that specializes in providing great memories, that trend plays to our sweet spot. Even better, the trend shows no respect for borders and seems to be occurring all around the world. Our sailings in the U.S., Europe, Alaska, Asia, all demonstrate this fabulous phenomenon." Royal Caribbean provided another sneak peek at what it's working on for its new smart phone app and digital strategy, dubbed internally as Project Excalibur. While no additional information was provided in terms of what Project Excalibur will do, Richard Fain did provide an idea of how many ships will have the new feature ready for use. "We expect to have Excalibur functioning on 15% of our fleet within in 5 months of today, and half of our fleet by the end of next year." Moreover, Fain elaborated on the importance of developing Project Excalibur to the long-term sustainability of the cruise line, "I've said before that our efforts in this arena are not nice to have, they are vital to keeping cruises relevant as a great vacation experience." Richard Fain provided an update on its no last-minute price drop efforts, known as the Price Integrity Policy. "As we have predicted, the early stages cost us revenue in both 2015 and 2016. That hurt, but once we established our consistency and credibility with the travel agents, with the public, and with our own revenue managers, the benefits started flowing in. Today, it's clearer that the program is accomplishing our goal of rewarding those who book early, while disincentivizing those who push for last minute discounts." "The key to this consistency has been consistency. We don't do it only when it's painless or convenient. We maintain the program, even when it hurts, and sometimes, we have to let cabins sail empty. That goes against every one of our instincts. But the focus and the discipline have proven their value." "Ironically, the program has been so successful, that we're now expecting to achieve a record load factor this year. That in turn, causes slightly higher operating costs per lower berth, but obviously, the bottom line impact is very positive." 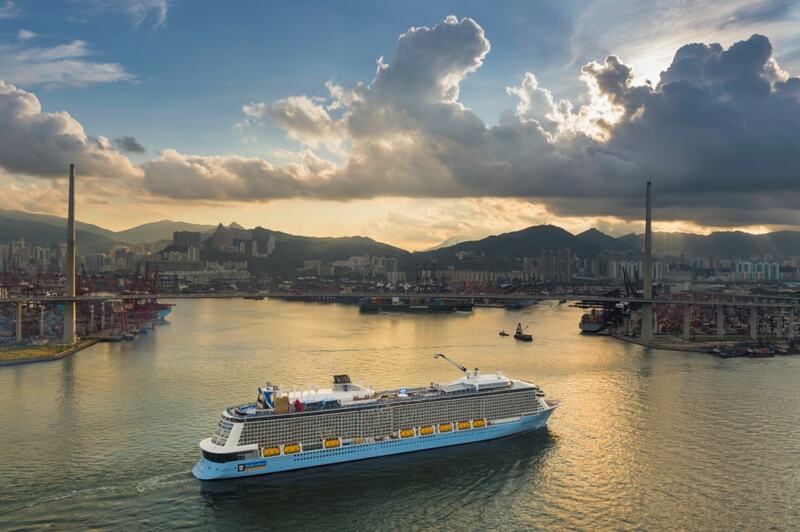 Earlier this year, Royal Caribbean announced the first Quantum Ultra class ship will be sailing in China, and that is in line with the cruise line's plan to bring new and impressive ships to sail from China. Fain explained, "With the Quantum Class of ships, we're giving the most technologically advanced hardware to a market that is very digitally focused. This move is a continuation of our strategy to have premium hardware in China. And that strategy is what has enabled us to gain, and to hold, a leadership position in the eyes of the Chinese consumers, such that today, Quantum is essentially synonymous with cruising in China." Cruisers from the United States and Canada have always been a strong source of Royal Caribbean's market, but the cruise line is seeing even higher demand for its cruise products from North American consumers. Royal Caribbean Cruises Ltd. Chief Financial Officer Jason Liberty elaborated as to how North Americans are cruising now more than ever, "North America remains our largest sourcing market, and the strength and demand we have seen from U.S. and Canadian guests have been unwavering for both sides of the Atlantic." "While we most itineraries have benefited from strength of the North American consumer, we have seen particularly strong trends on European sailings, both in the Mediterranean and the Baltics. Fewer geo-political events and stable air pricing have contributed to a surge in demand from our higher paying North American guests. As a result, North American guests will account for a larger percentage of Europe itinerary sourcing than in any other recent year." "The North American consumer does not only spend more on the ticket, but they also spend quite a bit more on the ships, and the driver of that has to do with the shore excursion side, because it's more of a bucket list vacation experience for them. So they tend to more onboard than the European guest. It's a more profitable opportunity for us if we are sourcing more North American guests versus European guests. As the North American consumer is eating up a lot of that capacity, that also puts the European consumer in a position where they have to spend more in order to get onto the ships." It is no secret that Royal Caribbean (and really the entire cruise industry) has been targeting those that have never taken a cruise before, but we got a bit of insight into Royal Caribbean's marketing strategy in today's earnings call. Royal Caribbean International CEO Michael Bayley elaborated how the cruise line targets the American cruise market, "We have been quite focused on developing the new to cruise and the Millennial market, and we've have been making very good progress over the past couple of years. If you look back over time, you'd see a decrease year over year in new to cruise and Millennial to Royal Caribbean International, but over the past two years, we've seen a good increase. Part of that's related to our messaging and our marketing strategy, where we've moved from really traditional marketing to more digital, and we're seeing a good pickup from new to cruise." 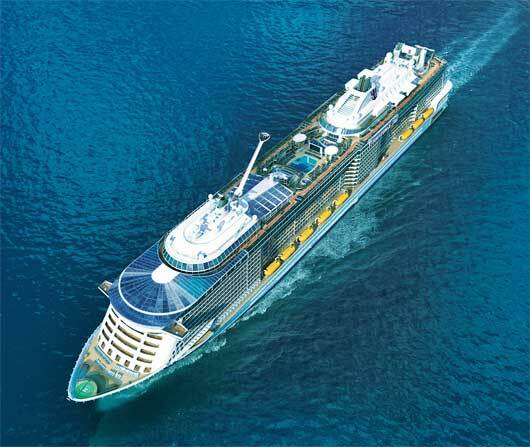 Royal Caribbean announced the first Quantum Ultra Class cruise ship will be based in the Asia-Pacific region. Set to be launched in spring 2019, the yet-to-be-named ship is the first Quantum Ultra Class ship, and will join sister ships Quantum of the Seas and Ovation of the Seas. The new ship will specifically be designed for guests in the region, featuring even more cutting-edge and unprecedented experiences and amenities. The announcement was made as Royal Caribbean unveiled its full roster of 2018-19 China, Singapore and Australia itineraries. As part of the deployment plans for 2018-19, Mariner of the Seas will reposition to a new home in Miami, Florida embarking on a “Global Odyssey” from Asia that features three long sailings from Singapore to Dubai; Dubai to Barcelona; and Barcelona to Miami. The “Global Odyssey” opens for sale on May 2, 2017. Voyager of the Seas will have her first full season in Singapore in 2018-19, offering 3- to 7-night adventures throughout Southeast Asia with stops that include ports in Thailand and Malaysia. The new 2018-19 deployment season presents additional highlights, including an expanded offering of open-jaw itineraries for adventure-seekers traveling down under with new 10-night open-jaw itineraries between Auckland, New Zealand and Melbourne or Sydney, Australia on Radiance of the Seas. During the winter, Ovation of the Seas will reposition to Sydney for her longest season in Australia, reclaiming the title as the largest ship based in the region. Royal Caribbean’s China 2018-19 itineraries for Quantum and Voyager will be available to book beginning April 26, 2017, followed by Ovation on April 27. Australia and Singapore sailings will be open as of May 16, 2017.